For its International Refugee Assistance Project. For its Asylum Seeker Advocacy project. For its program, the International Refugee Assistance Project, for its efforts related to the Syrian refugee crisis. Mobilizing direct legal aid and systemic policy advocacy, The International Refugee Assistance Project (IRAP), a program of the Urban Justice Center, serves the world's most persecuted individuals and empowers the next generation of human rights leaders. They leverage individual casework to advocate for reforms to refugee resettlement policy in the United States and among United Nations member states. IRAP brings together law students and pro bono attorneys to provide comprehensive legal aid to refugees throughout their lengthy registration, protection, and resettlement processes. IRAP works to identify and empower many of the world’s most at-risk refugees, including female survivors of sexual or gender-based violence; Iraqis and Afghans persecuted for their work with the U.S. military, media, or NGOs; LGBTI individuals; religious minorities subject to targeted violence; and children with medical emergencies for which local treatment is not available. In 2015, IRAP developed a specific set of program and policy agenda items that work to address the systemic failures encountered in countries of first asylum and to provide assistance the most vulnerable refugees. While pushing for largescale reforms, IRAP continues to provide unparalleled legal services to refugees seeking resettlement and safe, new beginnings. 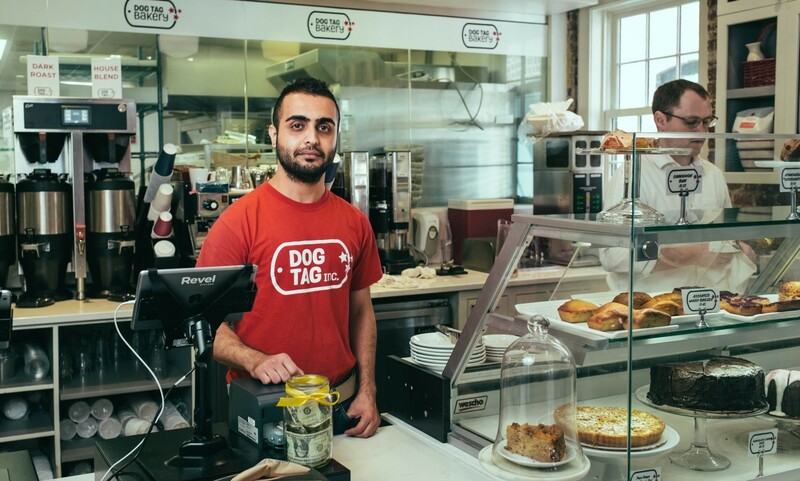 Former IRAP client, Sham Hasan working at Washington D.C.’s Dog Tag Bakery.